Frank Tersigni provides senior executive focus on Altivon’s customer relationships. He ensures that customer needs are met, investments leveraged and solutions continue to align with their evolving customer experience strategy. This executive oversight begins the moment a new customer relationship is forged and continues throughout the life of the relationship. Tersigni has spent his career helping companies evolve their customer facing operations. He held executive positions within IBM, NetDriven Solutions, VoiceGenie, Genesys and Got Corporation. He was co-founder of CallPro Canada, a leading provider of multi-media customer interaction management solutions. 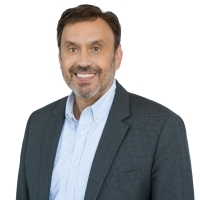 He travels extensively, sharing best practices with contact center executives embracing contact center technologies, customer experience management and the effortless experience. Tersigni has been with Altivon since 2009 and involved with contact center and communications technologies since 1978. He has a B.Sc. in Computer Science from the University of Toronto and an MBA from the Western University Ivey School of Business.